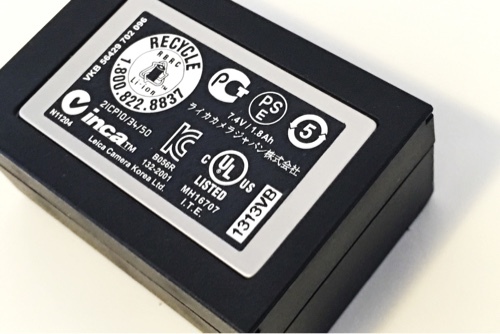 In this electronic age, cameras rely a great deal on the capability of the battery supply. Professional cameras are designed in mind that the battery will perform reliably in all conditions. Some manufacturers may have a design to fully reset the battery after a certain time to ensure it performs steadily. 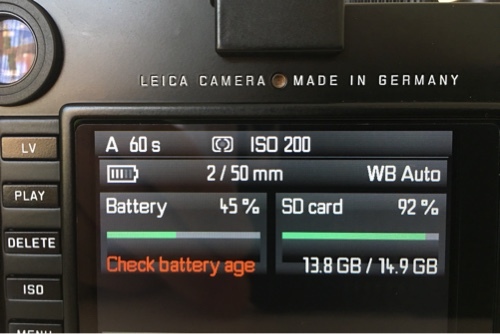 A few days ago, when the “Check battery age” message suddenly appears on the rear screen of my Leica M, it obviously tells us something has to be done. A bit annoying, isn’t it? In fact, there is a small indicator on the battery surface telling you what time the battery was produced. For example, on the battery above, “1313VB” probably means made in the 13th week of 2013. My other battery with “1113VB” means it was made in the 11th week of 2013. It is the one that shows up the alert. In theory it is time I checked the age of this battery. But the question is, now I realised it is aged. What should I do next, will there be a message telling me what time this battery will die? 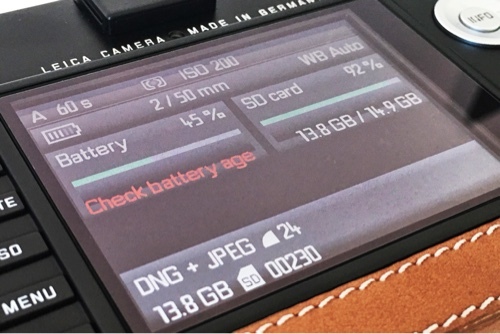 As Thorsten mentions in his blog, Leica should make a public statement addressing the issue of this message. So far we have not heard any news.